Hotlinking occurs when a different website links directly to contents on your webpage and so when the contents are viewed on the other website, they are downloaded directly from your own site. This therefore uses up your bandwidth. 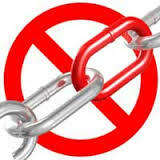 Websites with many images are prone to this problem of hotlinking. With cPanel, you can enable the Hotlink Protect feature and this will prevent other websites from directly linking to files and images on your website and no one will be able to steal your bandwidth anymore. Locate the Hotlink Protect icon under the Security section and click on it. A page will load as shown: Fill in the URLs to which you want to allow access. Also list the extensions for which you will like to block access to (these are the extensions you will be hotlink protecting). If you wish to redirect requests for certain content, enter the URL to which you want to redirect any visitor in the box which says Redirect the request to the following URL. Or you can skip it anyway. Now click on Submit and you are done. To disable the hotlink protection, just navigate to the Hotlink Protection page and click on Disable. Remember, you may drop your questions in the comments section below if you have any.